Top seed Roger Federer began his quest for a seventh title at the Swiss Indoors Basel on Tuesday by beating Mikhail Kukushkin 6-1, 6-2 in 55 minutes. 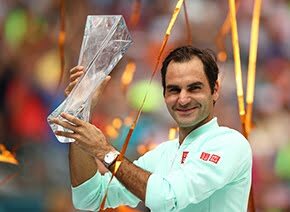 "I got off to a good start, which was a goal of mine," said Federer, who was coming off an opening-round loss at the Shanghai Rolex Masters. "Once in the lead, I was able to stretch that and keep pressure on my opponent. I'm very pleased for a first round, especially after Shanghai." Federer raced into a 5-0 lead before wrapping up the 22-minute first set, then broke in the fifth and seventh games of the second set for his 54th match win of 2015. The Swiss lost seven of his first service points and saved two break points in the third game of the pair's third meeting. Federer, now with a 57-9 match record and 6-5 finals mark in Basel, will next challenge Philipp Kohlschreiber, who overcame 11 aces from Jerzy Janowicz in a 6-4, 3-6, 6-3 victory. 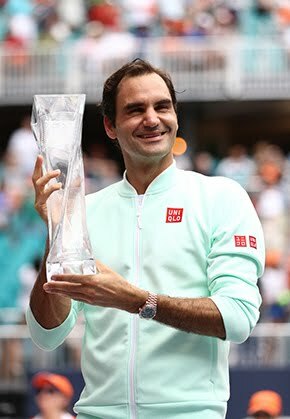 "Clearly, it was an important victory," said Federer. "Losing today wouldn't have been great for my confidence. I feel no effects from losing in Shanghai. I hope this match is a stepping stone to greater things this week. I've played so well over the years here in Basel."